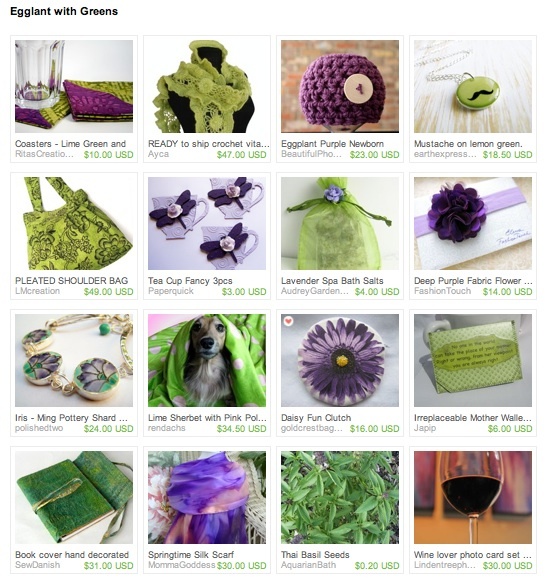 Purple and green are one of my favorite color combinations. Purple is often associated with nobility and royalty. You will frequently find purple in nature too - lilacs, lavender, orchids, and violets come to mind. In fact the lilac bushes are in full bloom at the moment - the aroma is oh so sweet. Green is all about life, all about nature, and all about the environment. Green is signifies growth, renewal, health, and environment. Beautiful collection! It is a lovely color combination and you've really do it justice! I envy you lilacs - can't grow them in Florida. I tried! I love palm trees, the sand between my toes and the waves crashing on the shore. Thanks for sharing today's abundance. This is my fave color combination, too! Great picks. I planted lilacs last year, but I think it's going to be at least a couple more years where I have to enjoy the neighbor's.